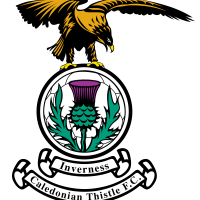 ICTFC knicked ahead into the next round of the Scottish Cup, to win the bragging rights in a hard fought derby against Ross County via penalties. Ridgers was the deciding factor, stopping McManus with his right hand, before Austin crowned the tie in favour of ICTFC. The sides faced off on a dricht Tuesday night after they drew 2-2 at Victoria Park, featuring a wicked goal by Aaron Doran in the first half. Following the recent loss to Dunfermline on Saturday, Liam Polworth, Coll Donaldson and Sean Welsh were restored to the team after managing to shake off minor knocks. With such tricky weather conditions, it took a short while for either team to get a grip of the game. At the 11th minute, Tom Walsh managed to backheel the ball in the direction of Jordan White on the wings, who in acres of space hit a low cross to the middle of the box. Liam Polworth was close to getting to it but was beaten to the ball by a flying Scott Fox. In the first game, Tom Walsh played a huge part in ICT’s positive attacks against Ross county on either wing, but unfortunately it wouldn’t be the same in this match. At the 16th minute his foot problem pulled him up and he couldn’t continue. Visibly frustrated, he walked off to be substituted by Anthony McDonald. At the 22nd minute ICT saw deja-vu from the first fixture. Two faces that scored combined to fashion an opener. Josh Mullin’s whipped cross from the right side was met by Ross Stewart who rose highest to meet with a downward header. The ball fortuitously bounced off the crossbar and in; it was Stewart’s third goal against ICTFC this season in all competitions. This goal was the shot in the arm that promoted ICT into a quick attack. At the 25th minute, Doran’s deflected shot near the edge of the box fell to McDonald at an angle, who hit a half volley sweetly from the left on goal. A County player stuck his leg out and stopped it from hitting the target. Five minutes later, the same duo combined. Aaron Doran teed up McDonald on the edge of the box, who took a touch and attempted a great shot on goal that was again blocked. At the other end, Ridgers worked his magic to keep out a great chance to double the lead for the Staggies. Billy Mckay threaded through Mullin in space within the right hand side of the box and from a tight angle he smashed a high shot towards the side netting of the far post. Ridgers stretched to reach the shot and managed to flick it out with his fingertips. The second half began with a potential foul in the box in favour of Caley. A lofted Tremarco cross was met by Polworth in the middle of the box unmarked. But the midfielder was under the ball and he could only spike it into the air. As Aaron Doran waited for the ball to fall down, he clashed with Marcus Fraser, who crumpled the winger. A corner was the only thing that was given, while some fans were asking for more. But from another cross the Caley Jags were level. Joe Chalmers’ corner-kick was whipped from the right hand side and it was met by Jordan White, who arced his neck back to make a good contact with the ball. Fox had no chance and the striker enthusiastically celebrated with the home support, notching his second goal against the Staggies this season. At the 63rd minute, Liam Polworth came close to bringing the side ahead, forcing Fox into a smart save. The number seven collected a failed clearance to swivel and hit a sweet shot to the far corner, but the goalkeeper was equal. The pressure was on the visitors as ICT dominated the chances and possession in the second half, but County responded in kind with a suckerpunch from nowhere. At the 67th minute, Michael Gardyne collected the ball on the edge of the box, drifted past two defenders on the left and drilled home a near post right footed finish eight yards out to bring them back ahead. John Robertson had to push for the equaliser and he took off Joe Chalmers to bring on Nathan Austin, whose presence gave more options in attack and a marking headache for the Ross County defence. At the 81st minute, Liam Polworth was involved in the equaliser, going to his right on the edge of the box and slipping in a through ball to White in the middle, who trickled his effort into the far corner, away from Fox. Seven minutes later, ICT almost won the game in the most bizarre of circumstances. Jordan White managed to clip a header over the defence and Austin went round his man to chip the keeper. As the ball dipped down and angled for the open goal, Fox managed to crash the ball against his own bar as he tried to claw it away- no one knows how it didn’t go in. A corner scramble at the last minute of the game was enough to force Fox into a near post dive, but that was the final opportunity in normal time as John Beaton blew his whistle. From kick-off, both sides were eager to kill the tie once and for all. Michael Gardyne received the ball on the left hand side and tested Mark Ridgers with a low effort that had to be scrambled away by Tremarco. His pass made it to Nathan Austin, who managed to evade challenges at the touchline and worked his way up the pitch to attempt a cross in open space. Jordan White tried to round off his hat trick with a header but it dropped into Fox’s hands. The tie was destined for penalties and everyone managed to dispatch their efforts until it reached Declan McManus, who hit a relatively tame effort into the bottom right corner, Ridgers saved it. Nathan Austin took the last penalty and his shot squirmed out of Fox’s grip and into the net, winning the derby for the Caley Jags.